We rode the Strip on Terns with a full moon and police choppers spotlighting us. 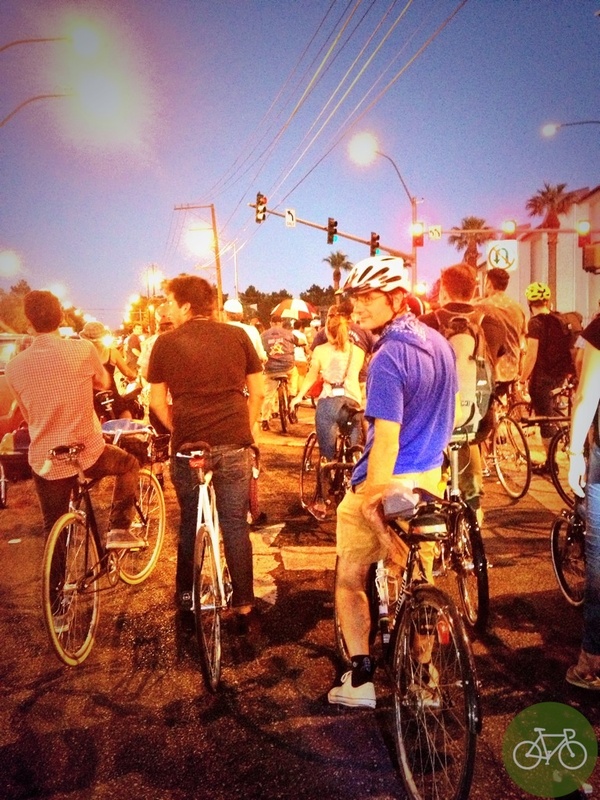 It was an amazing, had to be there moment during the Mobile Social Interbike. Here’s a glimpse of Green Guru setting the tempo, like a Pied Piper with a music-blasting bike. The ride ended at a New Belgium Block party with Shinola, Knog, and Electra Bicycles joining us. 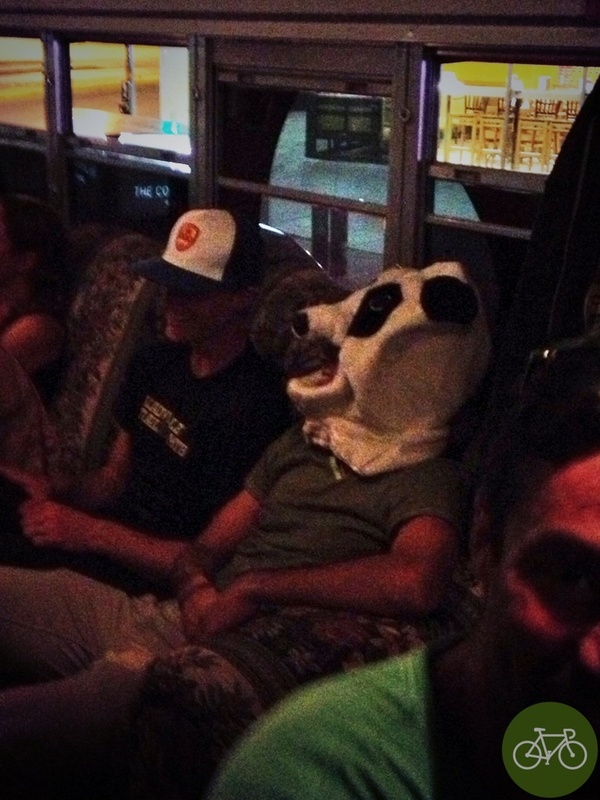 We closed the night on the Boo Bicycles Party Bus where I sat on a 1/2 rack of Shift and someone put a panda head on. Props to the locals and MashSF that led the ride safely.